To some, age is just a number. These actors have taken that phrase to heart and married Women much younger than them. 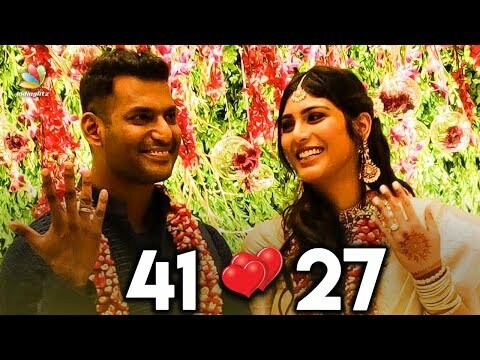 Actor Vishal got engaged to the love of his life recently. Anisha Reddy is 14 years younger to Vishal. Watch to find out which celebrity men married much-younger women.